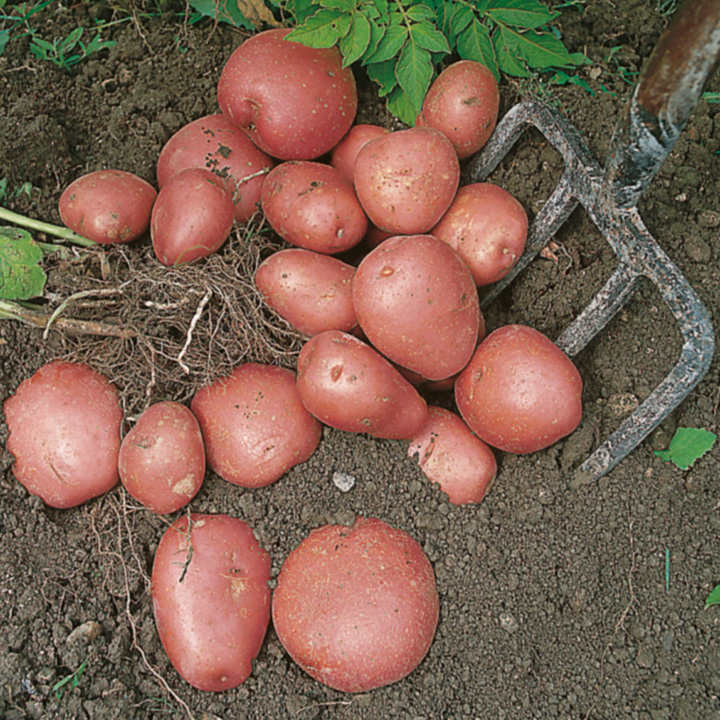 This heritage variety is one of the few red-skinned, cream-fleshed earlies, high dry-matter (floury). It has a fine flavour and gets quite big. New, boil, steam, mash, chip, bake or roast. First Early. RHS Award of Garden Merit winner. TIP: You don't have enough space to grow potatoes? Did you know it's so easy to grow them on the patio?